Copyright Newton Public Library. All rights reserved. May not be reproduced without permission. To request permission, contact the Newton Public Library, 720 N. Oak Newton Kansas 67114. Phone: 316-283-2890; Email: library@newtonplks.org. Please credit the Newton Public Library as your source. 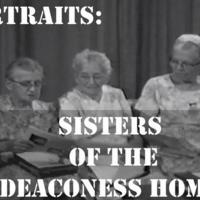 Newton Public Library, Newton Kansas, “The Deaconess Hospital Sisters Interview,” Digital Newton, Kansas, accessed April 22, 2019, https://newton.digitalsckls.info/item/9013.